This soup is a great way to use lettuce in the winter! Any kind of potato and any salad greens, but I’d recommend Miner’s Lettuce! 1. Cook onion mixture and garlic in 2 tablespoons butter in a 4- to 5-quart heavy pot over moderately low heat, stirring, until softened, 3 to 5 minutes. Add coriander, salt, and pepper and cook, stirring, 1 minute. Stir in potato, lettuce, and water and bring to a boil, then reduce heat and simmer, covered, until potato is very tender, about 10 minutes. 2. Purée soup in batches in a blender (use caution when blending hot liquids) and transfer to a 2- to 3-quart saucepan. Bring soup to a simmer, then whisk in remaining tablespoon butter and salt and pepper to taste. Chris’s cooking adventure inspired us to search for more recipe ideas and edible natives references. Here are additional recipe links for you. Remember that collection of plant materials on public lands is often completely prohibited by law and discouraged by CNPS! Collection on private property should be done only with the permission of the owner, and keeping responsible collection practices in mind. Extra points to you if you can collect from your own garden! We would welcome more recipes! Please comment below. This entry was posted in Edibles, Miscellaneous, Native Plant Recipe and tagged recipe. Bookmark the permalink. Now I know what to do with all the Miner’s Lettuce in the yard. It is growing like crazy, and nature (Chris) is trying to tell me something. Thanks, Chris, for the well-timed article! Here’s a couple of books about native plants as food – you may have to google the first two to find a place to buy them, but they are currently available. 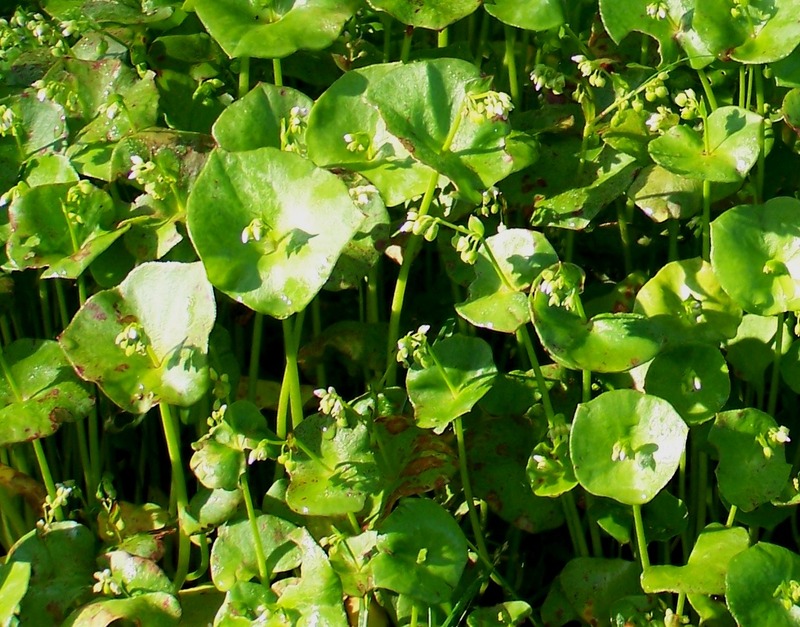 Miner’s lettuce: do you remove the “flower” and stem before using the Miner’s lettuce? We have some on our property in Inverness and I thought of putting it in with other lettuce for a salad. I have known that it is edible but never used. Lose the lawn, or just shrink it? And Then There Were Three! CNPS 2018 Conference Thank You!